Tight Fit. Intel's 'cost reduced' Baytrail-T platform has resulted in a sharp drop in the price of entry level Windows tablets but with that comes restricted RAM and storage. The Point of View Mobii Wintab 800W has 1GB of RAM and 16GB of storage. How does a low-cost Window tablet perform with these restrictions? 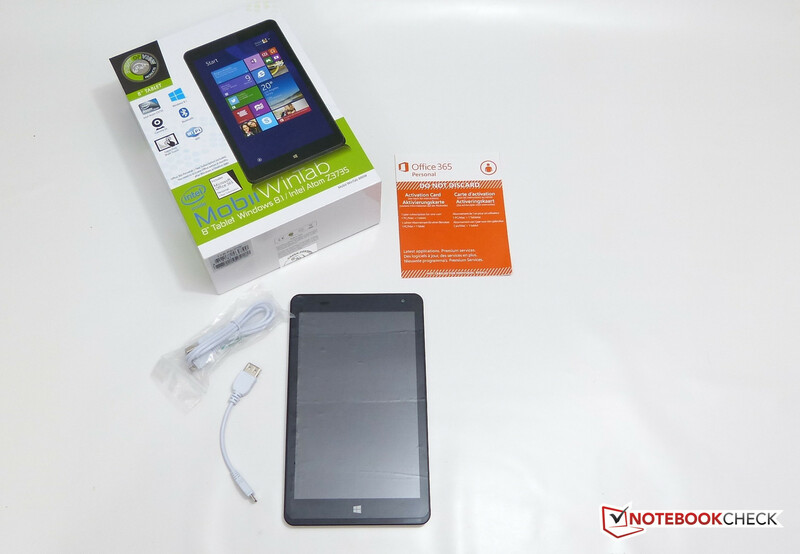 Point of View's Mobii Wintab 800W is currently the cheapest Windows tabletPC available in Europe. At 129€ it's half the price that Windows 8 tablets were retailing at in Q1 of this year and is a result of Intel's 'cost reduction' versions of Baytrail that reduce component count, board size and, thanks to Microsoft's work, to reduce the image size of Windows, storage and memory requirements. It seems hard to believe that this is a full Windows 8.1 PC running on just 1GB of RAM and 16GB of storage but it is. The CPU is an Intel dual-core, dual thread version with Gen-7 on-board graphics, just as found on the Windows 8 tablets that are retailing for 200-250€. The POint of View Mobii Wintab 800W isn't a uniquley priced product though because numerous low-cost Windows tablets, already available in China, are now appearing as exports under various brands across the globe. We'll be looking closely at quality, unique features and some of this issues associated with running Windows 8.1 in 1GB RAM. 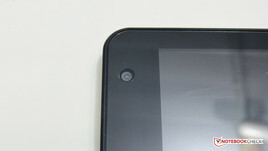 This 320 gram tablet is made of lightweight plastic and it immediately shows itself as being built to a price-point rather than a level of quality. While the casing appears to be well held together there's a slight bend on our model that you'll be able to see in some of the images. The touchscreen has a plastic covering (we already removed the screen protector) which might actually be replaceable although we're reluctant to pull it off to check. After a few days we saw micro-scratches on the screen and the sticker on the rear must have been printed with a whitebooard pen as it's rubbing off easliy. Make a note of your serial number before it disappears! Around the side of the device we found traces of plastic film clamped between the case. The buttons for power and volume seem fairly sturdy. The ports (MicroUSB, MicroHDMI, MicroSD, headset) are exposed which is normal but they don't look attractive. There's a mono speaker and camera on the rear. The rear camera was not working in our review model. There are no sharp or uncomfortable edges and this combines with the nice light weight to make the WinTab 800W comfortable to hold for long periods. Sizing wise it's a little smaller than the Lenovo Miix 2 8 and the Dell Venue 8 Pro. Despite a relatively low-quality build the case, materials and layout matches the price and shouldn't be a surprise to many people. 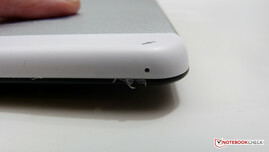 The screen is covered with a plastic protector. Note a slight bow in the unit. We estimate less than 0.5 of a mm. 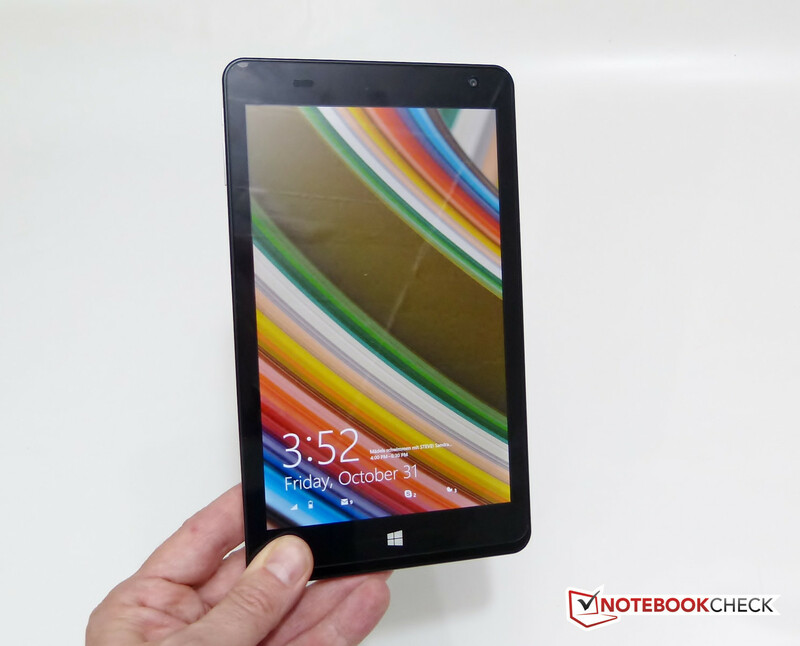 The Point of View Mobii Wintab 800W scores well for connectivity over other tablets at this price. An HDMI port is a highlight and it works in extended screen mode too so you can (and we did) run 1080p out to an external monitor. We even ran a 1080p YouTube video over that successfully. 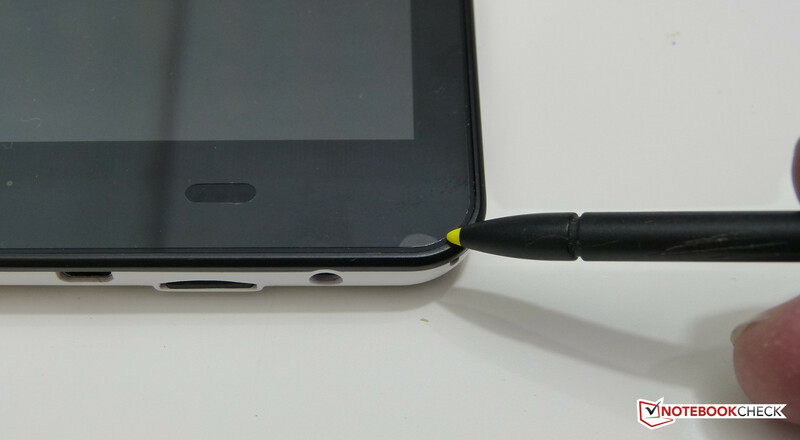 A MicroUSB port is included and points go to Point of View for including the OTG USB cable needed to connect printers, hard drives and other items. We tested this with a Gig-E adaptor, SSD hard drive, audio module and even a DisplayLink adaptor which gave us a one-port docking solution with a Belking USB Displaylink dock. 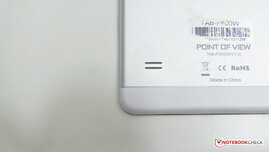 The headset port and MicroSD card slot are also located at the top of the unit. There's a lot of potential here. The question is, can the unit handle it in terms of RAM and storage? More on that later. The base of the unit contains the microphone. Built in WiFi and Bluetooth worked when tested and the WiFi was surprisingly strong in our 2.4Ghz 802.11n environment. We saw no dropouts. Unlike the more expensive tablets of early 2014 the Point of View Mobii Wintab 800W does not have a TPM module and therefore the free Bitlocker file encryption service is not available. We'll take a look at the reproduction quality below but it needs to be mentioned that touch responsiveness and accuracy wasn't good out of the box. We calibrated the touchscreen and increased DPI settings to 125 to improve the experience but still saw some loss of touch and occasional unexpected touch responses on the desktop. In RT mode (Modern UI) the experience was better due to the better touch-focused UI elements. Using the on screen keyboard in portrait mode was acceptable apart from the locks-ups that are associated with the 1GB RAM. See below for more details. The 1280x800 display on the Wintab 800W has the wide viewing angles that one would expect on a tablet but first impressions on the color reproduction weren't good. The screen looks a little washed and the blacks not nearly as good as on the Dell Venue 8 Pro although that is an exceptionally good screen in terms of contrast ratio. At this price we don't think many people can complain about the screen on the 800W but if you need more detail before you buy, continue reading. 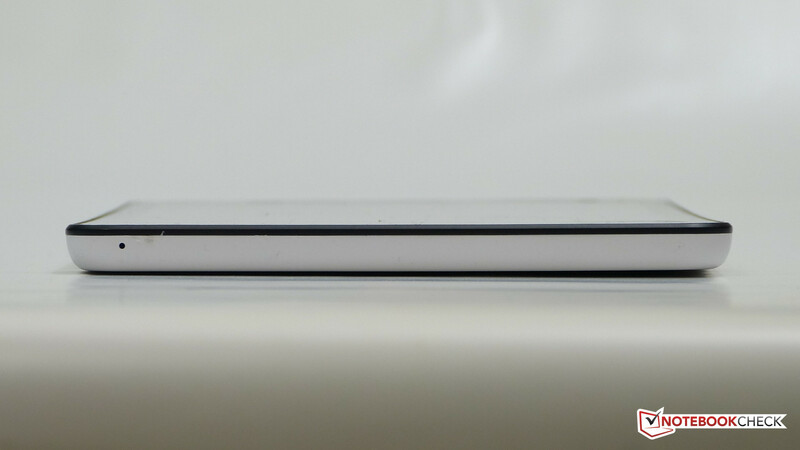 A measured contrast ratio of over 700 isn't too bad and it matches the low-cost Toshiba Encore 2 WT8 we tested recently. 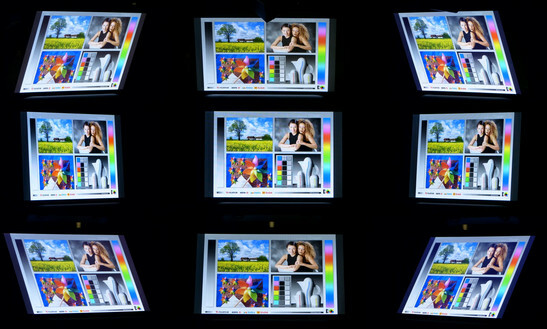 Adobe RGB coverage of 44% is quite low but again, for this price we were not expecting a highly calibrated and wide-gamut screen. Color accuracy is OK but high-brightness whites shift from what is expected. Measured illumination levels are below average for a tablet and given the slightly low contrast ratio it's not really suitable for outdoor usage. 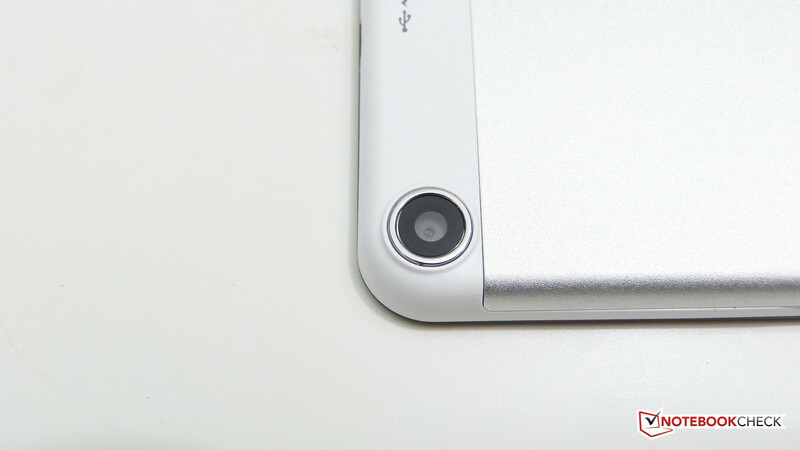 Viewing angles are good all round and will cause no problems in portrait or landscape mode. 1GB RAM and 16GB storage is a big problem for Windows 8 and while our (limited) single-application benchmarks may show some encouraging figures there's a more fundamental problem that our benchmarks can't show. On unboxing we saw 5GB of space free which was gone within 24hours after the first set of updates had installed. Another problem was our OneDrive storage which contains about 3GB of files that are marked to be cached locally. Once we had turned that caching off and moved OneDrive storage to a MicroSD card we were free to carry on enjoying the tablet...until we had to install another update and we found ourselves down at 300 MB of storage. A disk clean-up didn't help and it wasn't until we ran a directory size scanner that we found 3GB of Windows update files. As they were under 30 days old they needed to be cleaned using a command line tool. This is simply unacceptable and we suspect this will cause most buyers to become frustrated. For reference, here's the command line we used to delete the downloaded System Update files. Note that these files are kept for 30 days to allow roll-back. This command will remove that possibility but will clean the files out. We recovered over 1GB using this command line. After we downloaded a set of our performance test tools we were back in the red again and simple program installations turned into time-consuming clean-up operations to the point where we couldn't install any more software. An AS SSD Benchmark test crashed after 30 seconds. PCMark 7 failed to run, PCMark 8 was too big to install. Crystal Disk Mark aborted with a disk space error. We were unable to install any of our normal games. In summary, once the disk is near-full with Windows 8 cruft the desktop is unusable. We reset the PoV to factory settings and and took an RT-only approach to testing. The results were very different and you can see that in the video below. As you can see in the video, by using a fresh system and using the Windows 8.1 'RT mode' the experience is a lot smoother. Games are smooth, video playback works stutter-free (we tested up to 33 Mbps H.264) and browsing works well. Windows Update is still needed for improved security. We set the Windows Update tool to notify us of updates without any download taking place. This does reduce security but allows the user more control. Note that the disk includes a 5GB recovery partition which would have been better included on a MicroSD card. You can delete this using by creating a system recovery image and then deleting the partition. (See this external how-to for more information on conserving disk space on a Windows tablet.) By removing the recovery partition it would be possible to install a small set of desktop apps if needed. 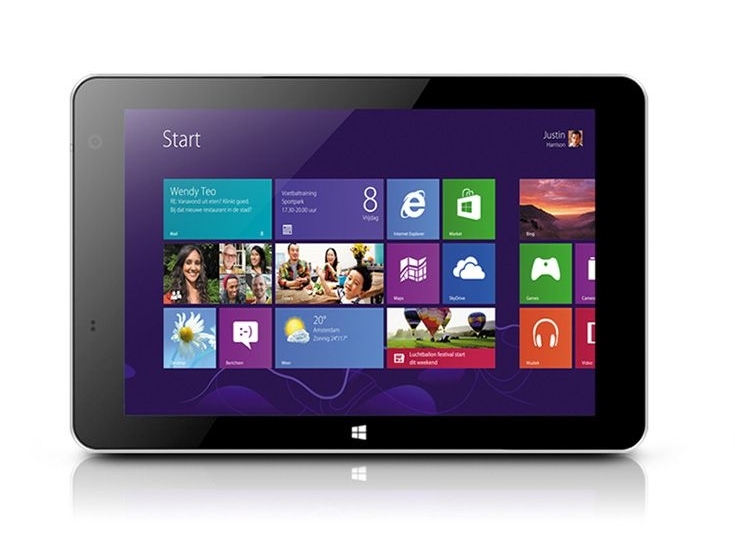 The Intel Z3735G is similar in architecture to all the other 'Atom' CPUs used on current 8-inch Windows 8 tablets. The base 1.33Ghz clock frequency can rise to 1.83 Ghz and there's a GPU running up to 646Mhz. We were able to run Cinebench R10 and the score comparison is shown below. 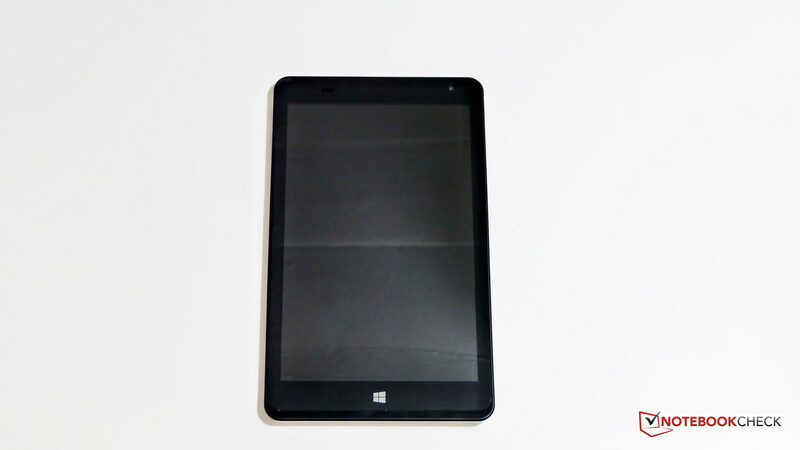 We were unable to perform a PCMark 7 test due to an error and unable to even install the PC Mark 8 test due to its size but even if the tests had run we would have had a false impression of this tablet. As discussed above, single tasking on the desktop can work but disk and memory space cause severe problems in a very short time. See the video above for our experience in RT mode. Our browser test scores are shown below. The scores from Crystal Diskmark show similar results to other devices in the same category but 4K Write speeds could be a little higher. 10 MB/s is ideal. 5.92 MB/s is a little on the slow side. Sequential read speeds are acceptable. Again, please note that these scores are on a freshly reset system. The on-board Intel Gen-7 graphics are difficult to asses due to the disk and memory size restrictions but we have managed to run a couple of graphics tests that give us a feel for the performance. Desktop game testing was impossible due to disk and RAM space restrictions but you'll see a couple of game demos in the video above. In a Unigine 3.0 DX11 test we saw 3.6 FPS which matches the 3.7 FPS we tested on an Acer Iconia Tab (2GB RAM, Z3740 CPU.) This is a low score on a relatively heavyweight 3D test but it does show that the GPU is capable, theoretically, of the same performance as other tablets on the same Z3000-series platform with larger RAM. Gaming on this tablet is strictly limited to RT/Metro applications from the Windows Store. All deskstop games we tried failed to install due to the small space and memory. With care, on a clean system, Windows RT / Store games can be used. We tested Jetpack Joyride and Wordament with no problems but be aware that some games in the Windows Store are hundreds of MB in size. Video playback performance was good in both RT and desktop modes. We played a 1080p YouTube from IE11 and a local 2K (2560x1440) H.264 file at 33 Mbps video the Video application without any problems. When output to a Full HD monitor the results are impressive when one considers the cost of this tablet. H.264 and WMV are supported in hardware. All other formats can be supported but may not give the same performance results and some may require codecs and additional players to be installed. We didn't test Miracast performance but Miracast appears to be supported. The value of the HDMI-out port must not be underestimated here as video playback performance appears to be good. This fanless, silent tablet does get warm under some conditions. One area on the rear gets noticeably warm under load conditions and this may become uncomfortable. Our measurements (under load and no-load conditions) are shown below. (±) The maximum temperature on the upper side is 42.9 °C / 109 F, compared to the average of 34.8 °C / 95 F, ranging from 22.2 to 51.8 °C for the class Tablet. The audio presented on the headset port is somewhat dirty. Buzzing can be heard which means the output is not recommended for HQ audio. Bluetooth is the alternative and might suit some people. Digital output is available on HDMI and a compressed digital audio stream is available over Miracast. We did not test Miracast. One mono speaker on the rear of the unit provides enough for notifications and short video clips. This isn't the best unit to be using as an Internet Radio or video playback device although it is capable of feeding a clean 1080p and digital audio feed over HDMI. The Point of View Mobii Wintab 800W has a 15 Wh battery inside and comes with a lightweight USB micro charger. The charging rate is slow and in a 30 minute test with the screen on and benchmark programs running the charger failed to keep up with demand. 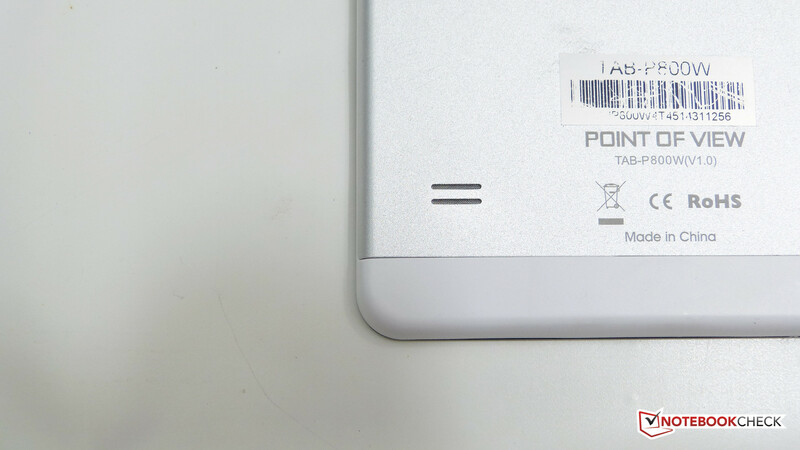 With a 15W battery inside one can't expect huge battery life figures and our measurements indicate that 5 horus of casual browsing with 150 nits screen brightness is possible. Video playback under the Video application is about 4 hours and under desktop, using Windows Media player it's less at about 200 minutes. Screen off audio streaming should be possible for 10-20 hours in connected standby mode. High-end gaming is not possible but Windows Store gaming may only give you 2-2.5 hours battery life. 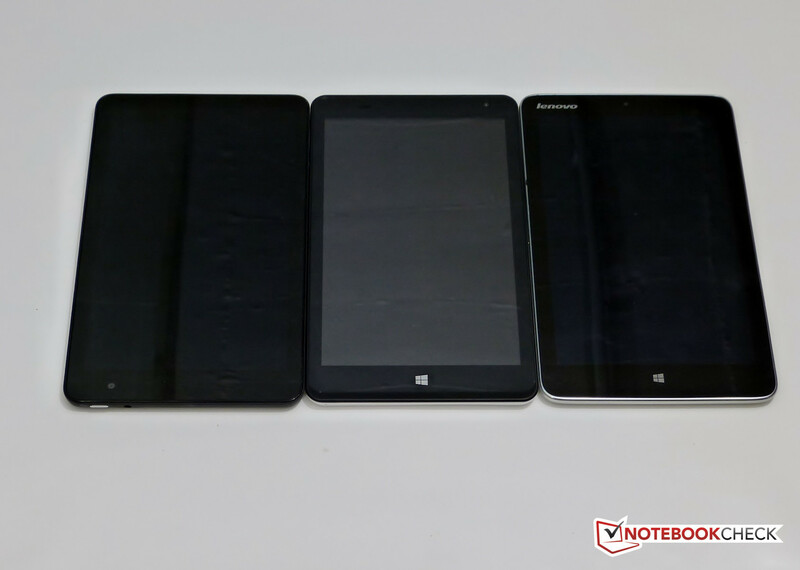 Comparisons with the Toshiba Encore 2 WT8 and Lenovo Miix 2 8 are shown below. 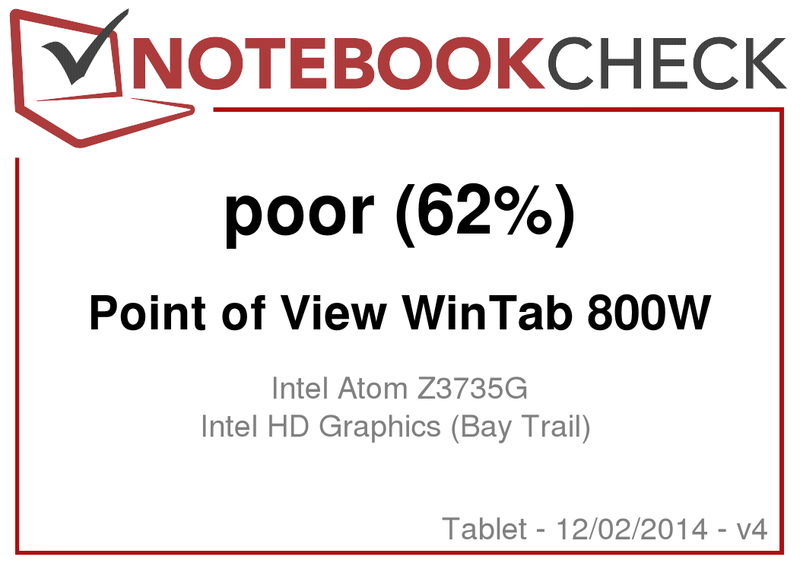 The Point of View Wintab 800W is a Windows PC and we tested it as we test all Windows PCs. 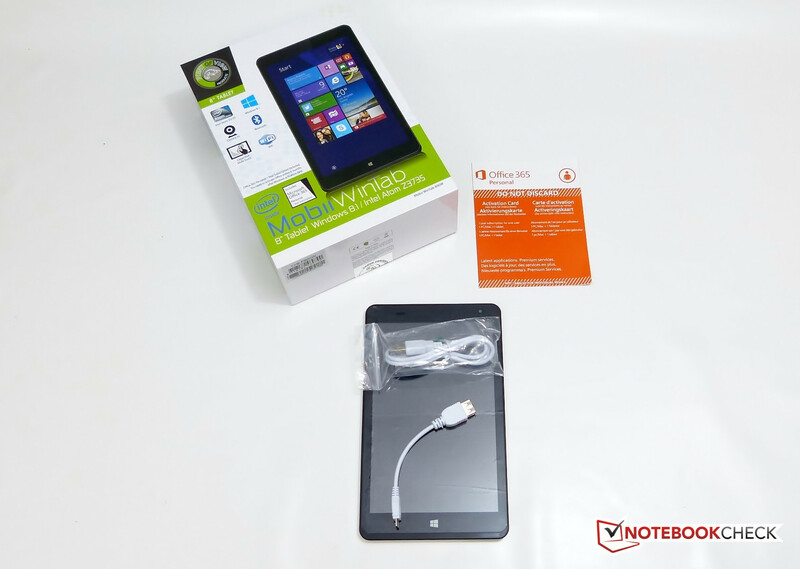 Unfortunately the Wintab 800W is not capable as operating as a barrier-free Windows PC and disk space becomes a critical issue very quickly. . As a consumer tablet, however, there are some interesting possibilities. Ignore desktop and work within the RT environment the experience is much better. RAM and disk space issues will affect this mode if the user is not careful to restrict things like Windows Update. Because of that issue we are reluctant to recommend this to mainstream users. 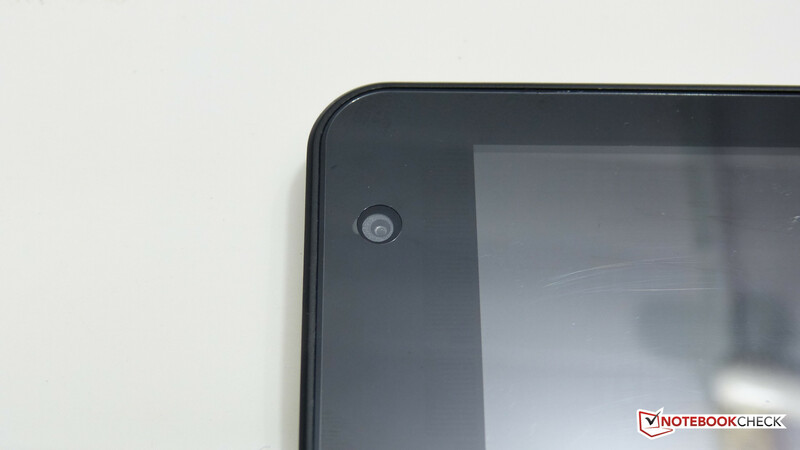 The build quality is as expected for this price but we were quite disappointed, as we came to the end of three weeks testing, at the number of scratches on the plastic screen cover. If it's possible to replace this then we see no problems but if not, it's going to get messy quickly. Raw performance of the Point of View Wintab 800W, when measurable, is quite good and we commend Point of View for including the USB OTG cable that allows peripherals (printers, disks, webcams and more) to be connected. It's that flexibility, combined with the disk restrictions that put this Windows 8 tablet into the 'hobbyist' category for us. If you're experienced in managing Windows disk space and have a single desktop application in mind then yes, take a closer look. 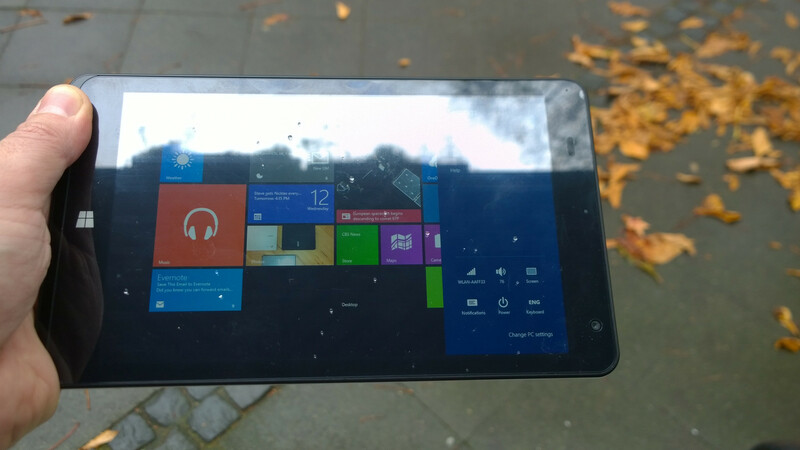 If you want to experience Windows RT (which is a lot better than it used to be) then again, take a closer look but if you want an easy-to-use casual tablet, you'll want to skip this one and look for something with 2GB of RAM and 32GB of storage. At a street price of 119 Euros there's definitely some value here if you're the right sort of customer and we can't deny that the bundled year of Office 365 and One Drive storage is worth something but again, you need to be the right type of customer to get the best out of the Wintab 800W. In Review: Acer Aspire Switch 10. Test model courtesy of Notebooksbilliger. Rear camera was not working on our model. + Smooth performance under Metro / Modern. - Inadequate disk space for desktop apps. - 1GB RAM causes performance issues when using multiple desktop apps. - Rear camera not working. Low-price. Video playback performance. Hobbyist potential. 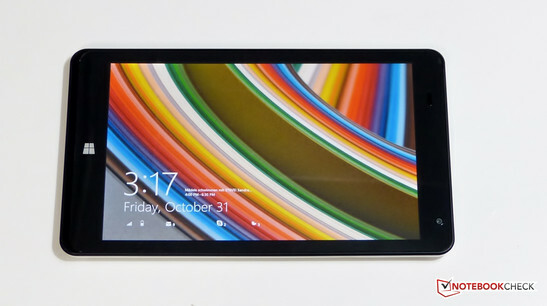 Toshiba Encore 2 WT8, Lenovo Miix 2 8. 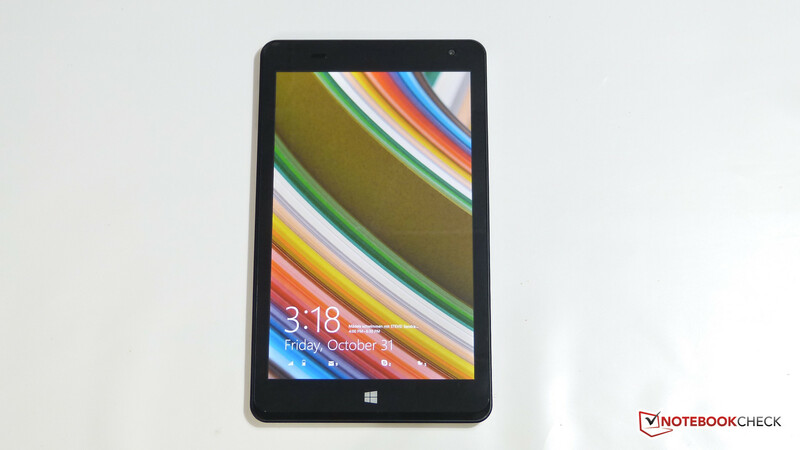 Also watch out for other low-cost Windows 8 tablets hitting the market in Q4 2014.